One of Marvel’s most powerful (and adorable) characters will soon climb her way into a comedy series on Freeform. 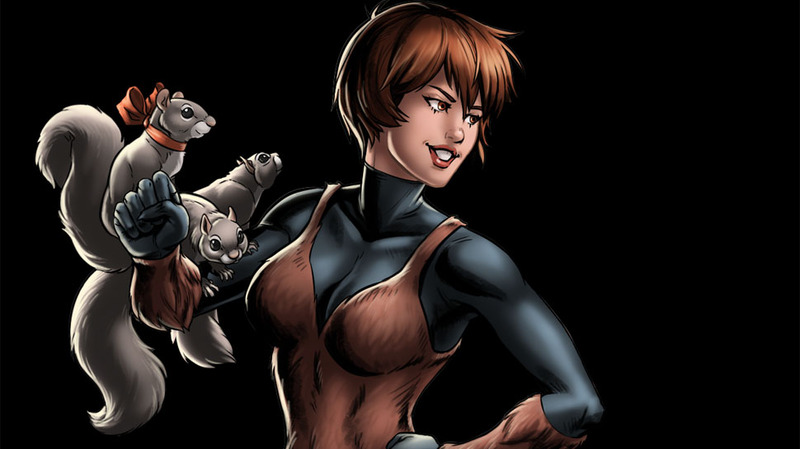 Doreen Green aka Squirrel Girl was officially announced by Marvel and the series called New Warriors basing on Marvel’s property of street level teenage heroes that also battle super villains. Squirrel Girl does whatever a squirrel can – namely acrobatics, nimbleness, squirrel senses and the ability to summon legions of squirrels to aid her in action. She has an ongoing series with Marvel Comics under the creative tandem of writer, Ryan North and artist Erica Henderson. The series is among Marvel’s bestsellers in the pre-teen age group. New Warriors is the second property venture of Marvel in Freeform after last year’s announcement of the live action series of Cloak and Dagger, a romantic action film. Look for New Warriors to debut in Freeform in 2018 with a ten episode maiden season.